Goodreads says, "Pragmatic, independent Lily St. Claire has never been a beachgoer. But when her late father leaves her a small house on Hideaway Key—one neither her mother nor she knew he owned—she’s determined to visit the sleepy spit of land along Florida’s Gulf Coast. Expecting a quaint cottage, Lily instead finds a bungalow with peeling shutters and mountains of memorabilia. She also catches a glimpse of the architect who lives down the beach…. But it’s the carton of old journals in the front room that she finds most intriguing. The journals were written by her mother’s sister, an infamous beauty whose name has long been banned from the St. Claire home. The journals tell a family tale Lily has never heard, of her mother and her aunt as young girls in Tennessee and the secrets that followed them into adulthood. As she reads, Lily gains a new understanding: about her family and about herself. And she begins to open her heart—to this place, these people, and the man next door. But can she ever truly learn to trust, to believe that love is not a trap but a harbor? And is it true that hearts, even broken ones, can be forged anew?" Lily St. Claire finds herself as the owner of a cottage on Hideaway Key located on Florida's Gulf Coast thanks to the fact that her father left her the house in his will. She didn't even know that he owned the home though! When Lily visits the cottage, she finds out that it is filled with a lot of old items, specifically old journals written by her mother's sister. This is especially intriguing as her mother won't speak of her sister to this day, so Lily has many questions surrounding this. As Lily starts reading the journals, she learns a lot of information about her mother and her sister's childhood and what they went through. To top things off, she meets a new neighbor that catches her eye. 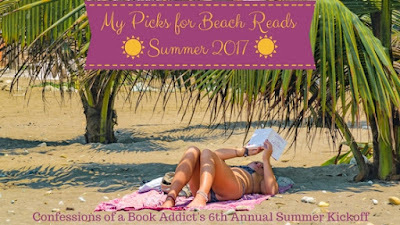 Barbara Davis's Summer at Hideaway Key is a charming beach read that fans of historical fiction with dual narratives will enjoy this. Lily's story was an interesting one in Summer at Hideaway Key, especially when she started reading the journals of her aunt Lily-Mae. The most compelling aspect of this novel were, hands-down, the journals and Lily uncovering family secrets. I was very curious as to why her mother no longer speaks to her sister. I also thought her boy-next-door romance with Dean was a cute one and added to the beach read appeal of the novel. Speaking of Lily-Mae, I found her journals to be very compelling. I actually learned a lot about "poor farms" and their function in history as I really didn't know much about them. Lily-Mae and her sister end up at one and things don't really go well for her there. I don't want to give too much away, but it was definitely heartbreaking. I was completely invested in Lily-Mae's story. 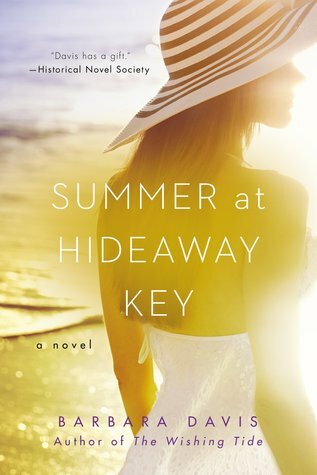 The setting of Summer at Hideaway Key is outstanding and perfect for a beach read. Davis truly captured Florida's Gulf Coast and I loved armchair traveling to such a tropical and serene location. If you are a fan of historical fiction that is filled to the brim with family secrets as well as a gorgeous location, give Summer at Hideaway Key a try. This the first novel I've read by Barbara Davis, but definitely not my last. Family secrets and the beach setting make this sound appealing. I hadn't heard of poor farms before. I will have to give this one a try sometime. Thanks for your review! I was really surprised to learn more about poor farms. The author included some info about it after the story ended...very interesting stuff! I am definitely going to read more Barbara Davis in the future. Thanks for visiting, Christina!